Need any more proof that Apple is planning for a huge event tomorrow? Just look on Apple’s home page. 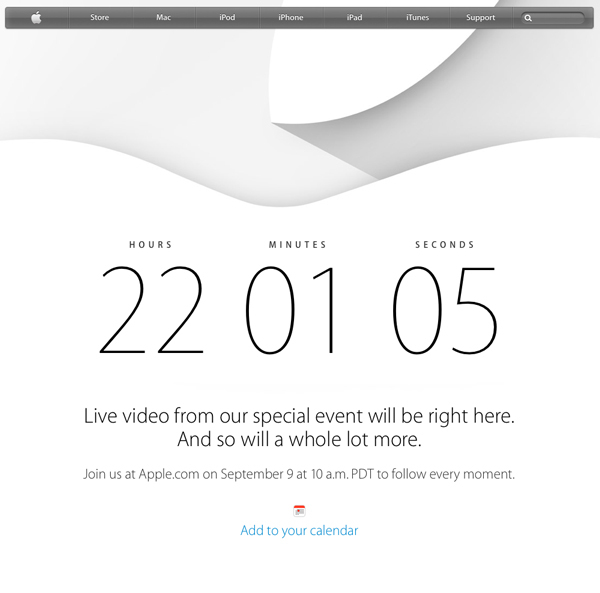 Anyone who visits Apple.com is now automatically redirected to the live stream page unveiled last week. The event will begin at 10 a.m. PDT tomorrow from the Flint Center on the campus of DeAnza College in Cupertino, Calif. Apple’s site will offer a live stream of the entire event. To watch, you’ll need to be running Safari on iOS 6.0 or later or Safari 5.1.10 and higher on a Mac with OS X 10.6.8 or up installed. 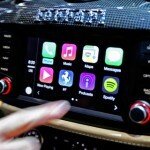 It will also be available to view on the second- or third-generation Apple TV. Windows users are apparently out of luck, at least according to Apple’s site. We will also be at the event live, so stay with us for all the latest news as it happens. 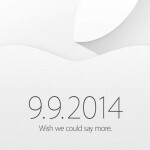 Apple is widely expected to unveil both the “iPhone 6” and the “iWatch” at the event. While Apple’s long-rumored wearable device should also be shown off, it could be early 2015 before the “iWatch” actually hits the market.